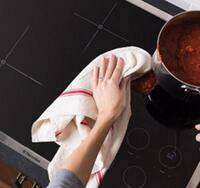 Radiant element smooth cooktop makes it easy to clean with just a wipe. 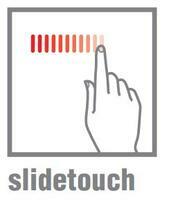 Touch slider controls are practical and allow for precise temperature settings. Each heating zone is also operated by a separate touch point so that power levels on each individual cooktop can easily be regulated. I have not had a problem I always buy this brand. Bought cooktop right before the holidays and it made cooking a breeze. I like the big knobs and the easiness of cleaning. Really updates the kitchen. It warms fairly quickly and looks great. My old cook top cooked so uneven I was always burning things. It's like heaven to actually cook again. I would have to say no problems so far. 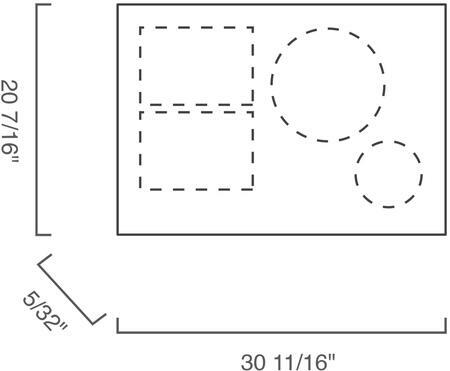 The design is sleek and has clean lines. Cooks faster because it appears to heat more evenly across the bottom of the cookware. By far the best stove top I've ever owned. Doing a kitchen remodel, this cooktop was just what we needed to complete our kitchen. It heats up faster and, more importantly, it cooks more evenly than my old one. I don't cook often but using this cooktop for 9 months and so. Absolutely a great product. Works great every time I cook and make my food just so delicious. I can say that I enjoy making food on it. It looks great too in my kitchen. We recently did a remodel and had a house warming party and everyone who steps in the kitchen automatically notices this cooktop and ask what brand it is and where I got it from. A lot of BTU power for those that like to cook. Lighting the burners is so easy. It gives you lots of options for power levels for different sized pots and pans. Highly recommend this unit. 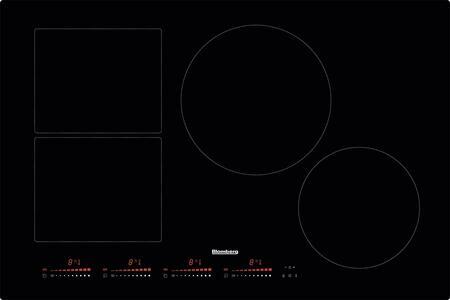 We love to entertain and Blomberg cooktop makes it so easy to whip up any dish. Overall, I am pleased with the performance of the unit. 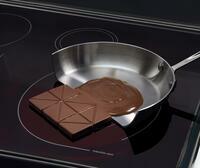 We have found this cooktop to serve our needs well. Does exactly what it says. Works great. Cleans decently. We would buy it again--reasonable price, good value. The burners ignite with a strong flame and the varied size burners are great. The largest burner heats water very quickly and the small burner is excellent for very low heat. I would buy this again very happy with unit.